There is a significant shortage of blood this time of year. Did you know in the next hour, 1,800 people will need blood in the United States. And another 1,800 the following 60 minutes. That is 43,200 people in one day who need blood. Donating blood saves lives. 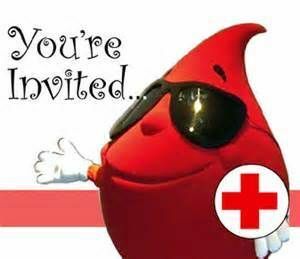 Can’t make it to a blood drive this week? Good news, there is another area blood drive next month where you can also donate. To donate blood, you can sign-up here. Input your Zip Code in the Blue or Red box where indicated. Then follow the steps to sign up and donate blood.